An amazing custom iPhone 7 Plus wallet case to protect your cards and iPhone. Your own custom iPhone 7 Plus case made uniquely by you. Keep your memories with you on your own personalized case. Find your artistic side and design something amazing on our iPhone 7 Plus wallet case. GoCustomized will print your ideas directly onto this personalized iPhone 7 Plus wallet case. Simply upload your favorite picture or design and you're one step closer to having your own case. 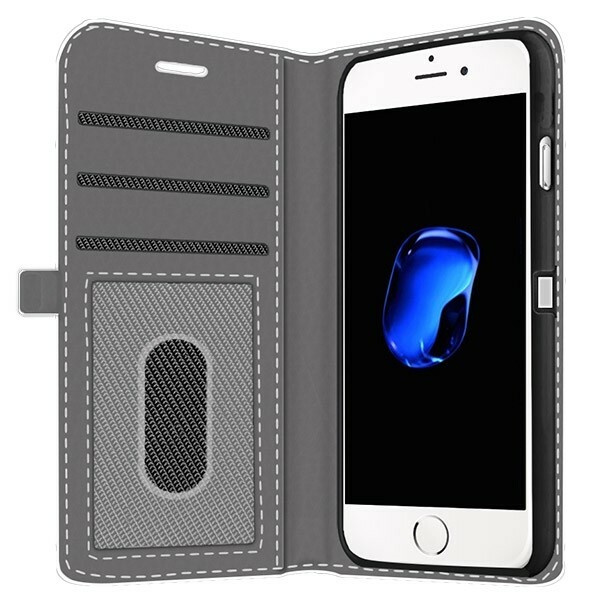 The wallet case is made of high-quality leather and your design will be printed on the front of the case. There are slots for all your important cards, such as your bank, ID or health insurance card. 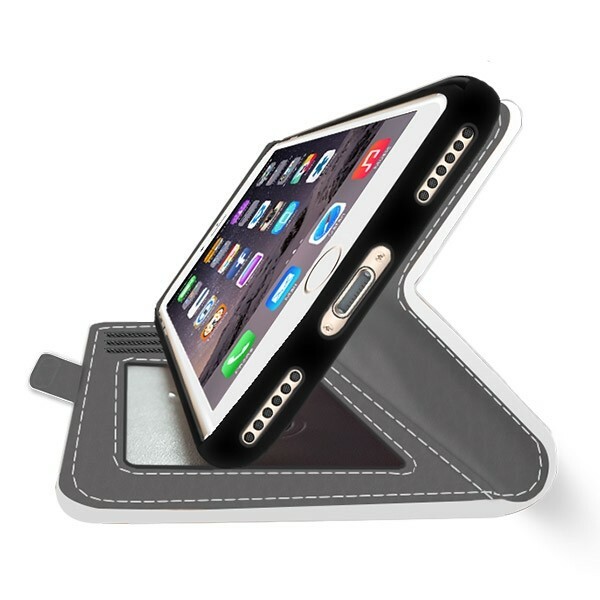 The wallet case uses a magnet closing system which ensures your case stays securely closed. This will help protect your iPhone 7 Plus and keep your cards safe. How do I create my own iPhone 7 Plus wallet case? Creating your own custom iPhone 7 Plus case is simple. 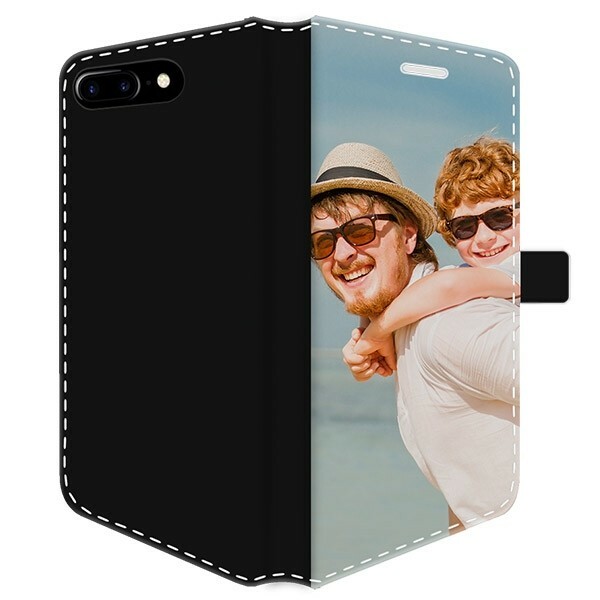 Upload a picture, design, pattern or choose one of our pre-made designs and place it the way you like it in our phone case maker. Don’t forget to include one of your favorite quotes or some text using our text module. There are numerous fonts and colors to choose from. Please ensure that the picture you upload is of the highest possible resolution. This will help us help you get the best quality case. 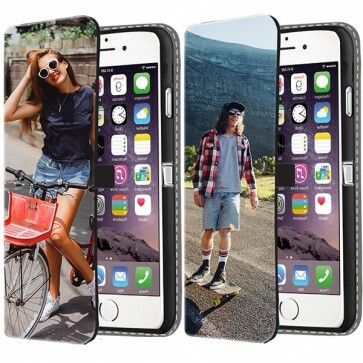 We let you be the designer and helps you to create your own custom phone cases! How is my custom iPhone 7 Plus case produced? When you are happy with your design for the wallet case and are ready to get your masterpiece produced, press the "add to cart" button and order your case. 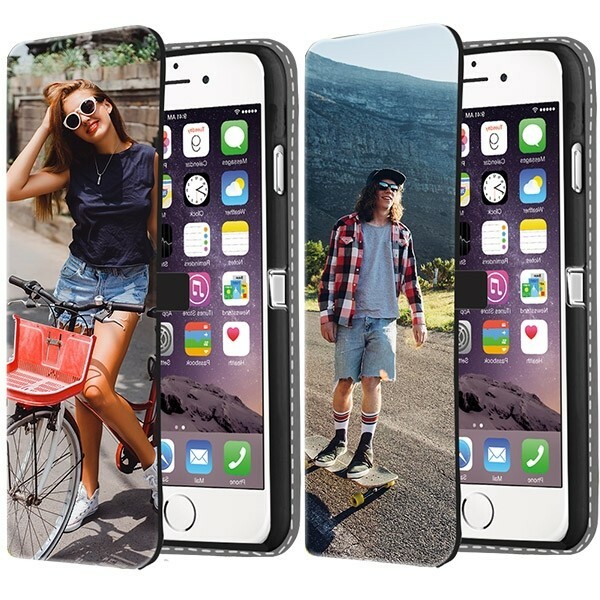 Our experts will produce your custom iPhone 7 Plus case right away. We ensure that your case will be on its way to you within 24 hours of purchase. All of our cases made here at our website are made for each individual customer. You can be sure you will have a one of kind case. Shipping is fast and reliable, so what are you waiting for?